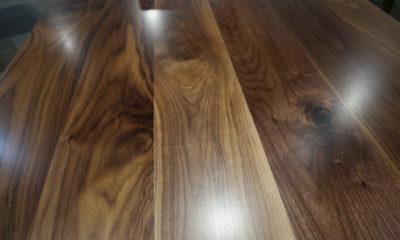 Wood species and stain color essentially come hand in hand. 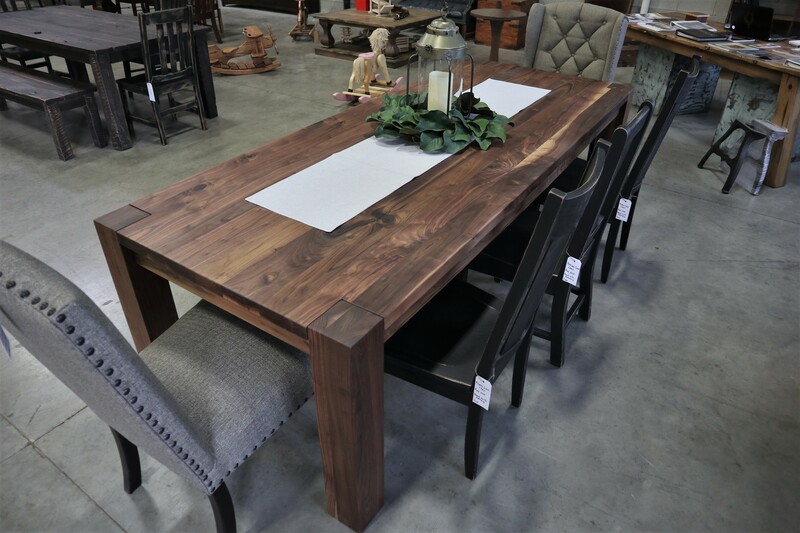 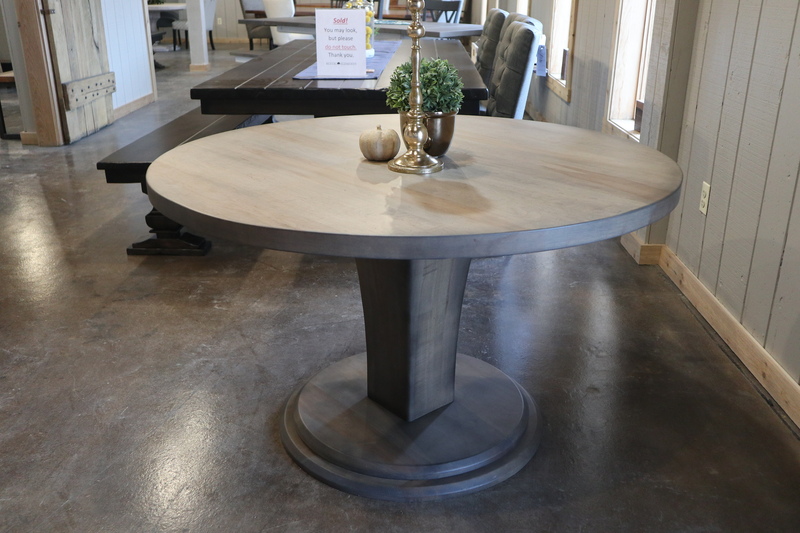 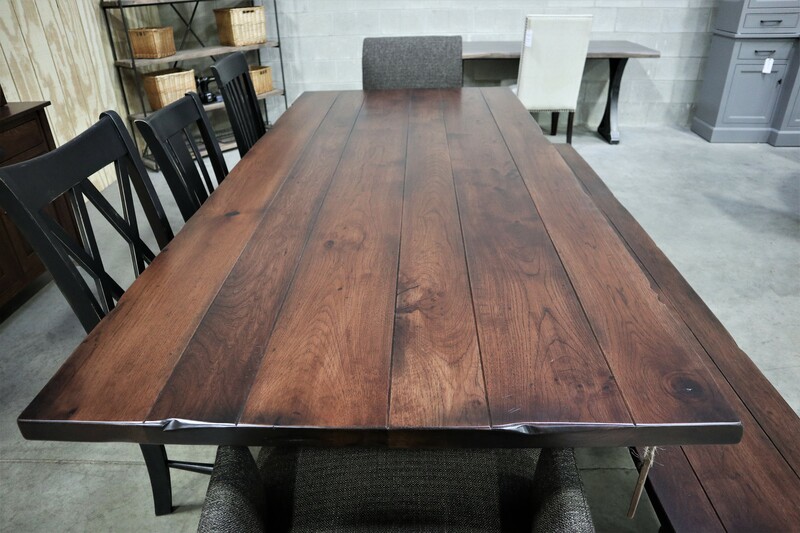 Both impact one another and are dependent on the end goal for a table: dark, light, formal, informal, wood grain variation, no variation, etc. 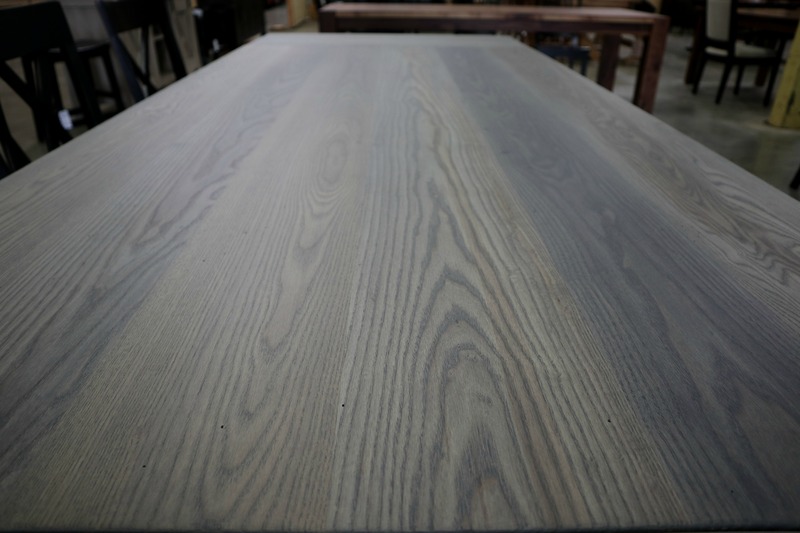 Each wood species we use has its tendencies to what stain color look and work best. 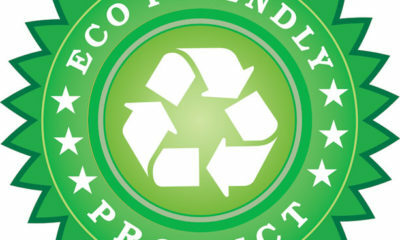 *We strictly stick with the harder species for durability purposes. 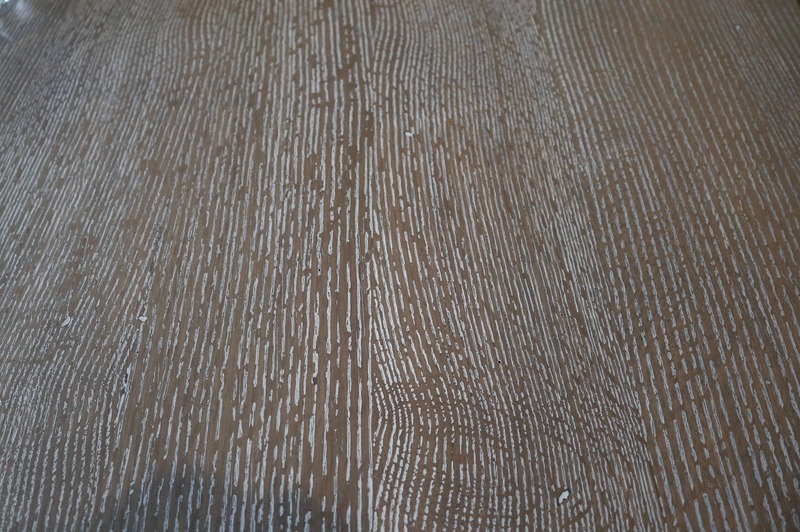 Continue on to see what works. 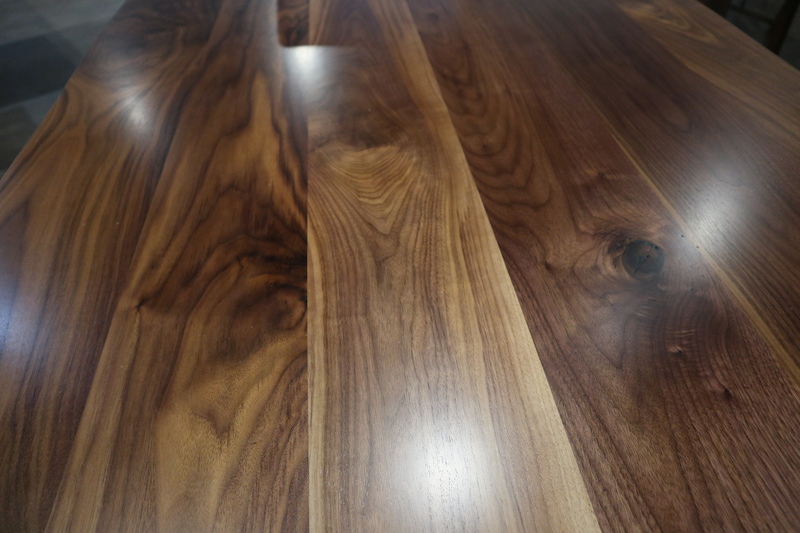 This wood species is easily recognized for its natural beauty and character. 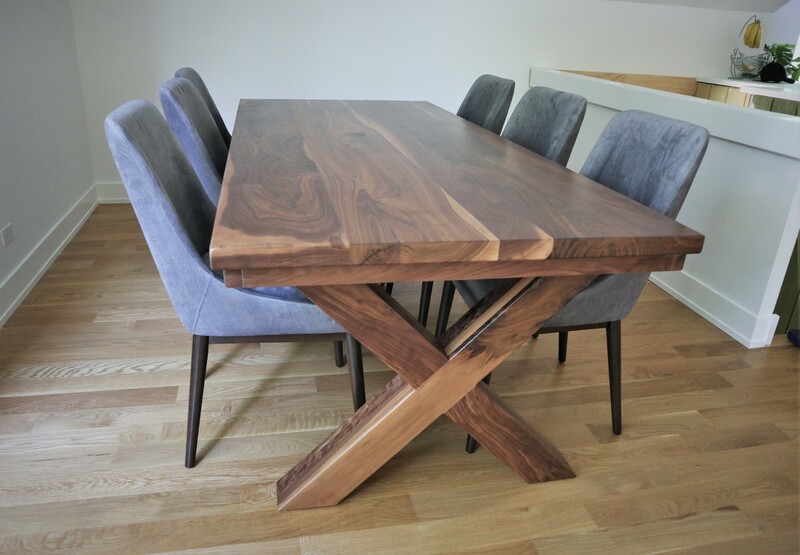 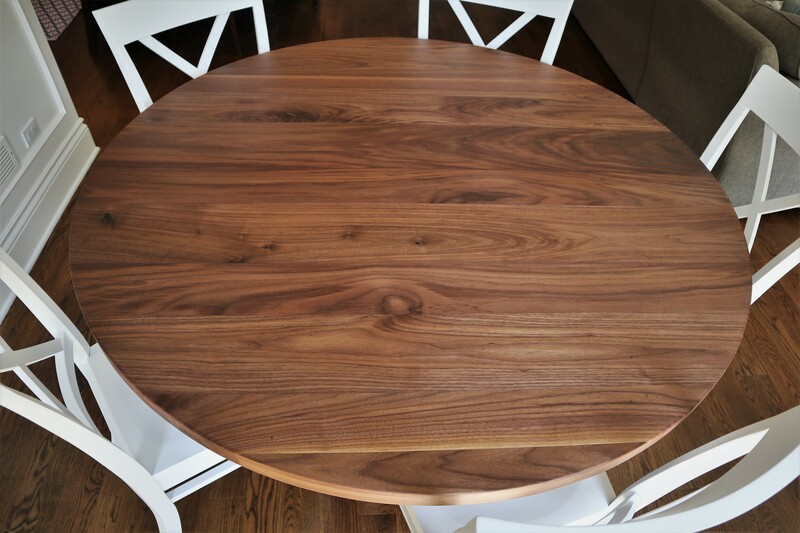 Walnut is often left untouched for good reason. 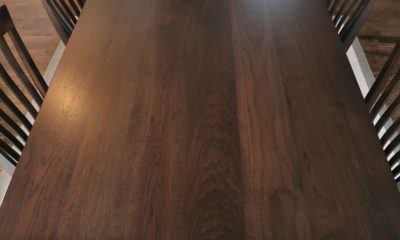 It needs no enhancement due to its known natural variation and rich color. 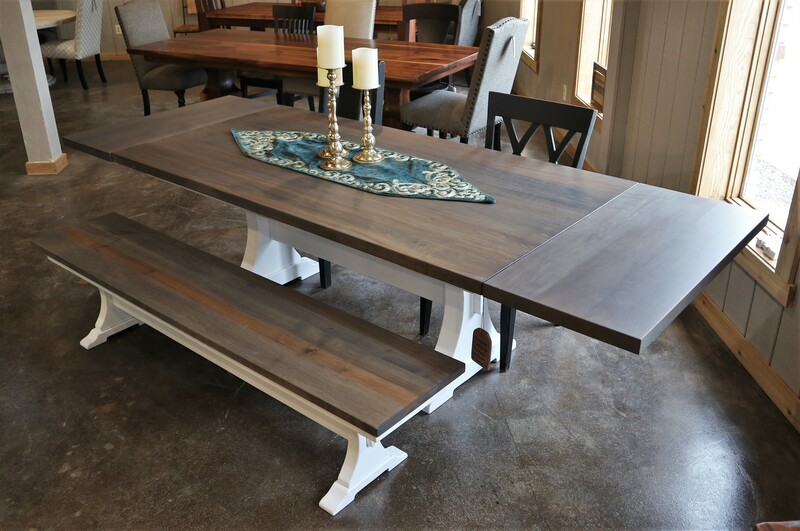 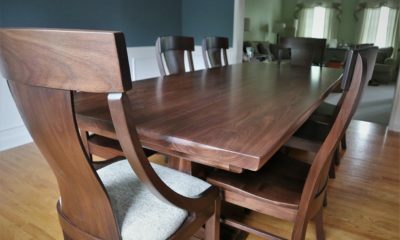 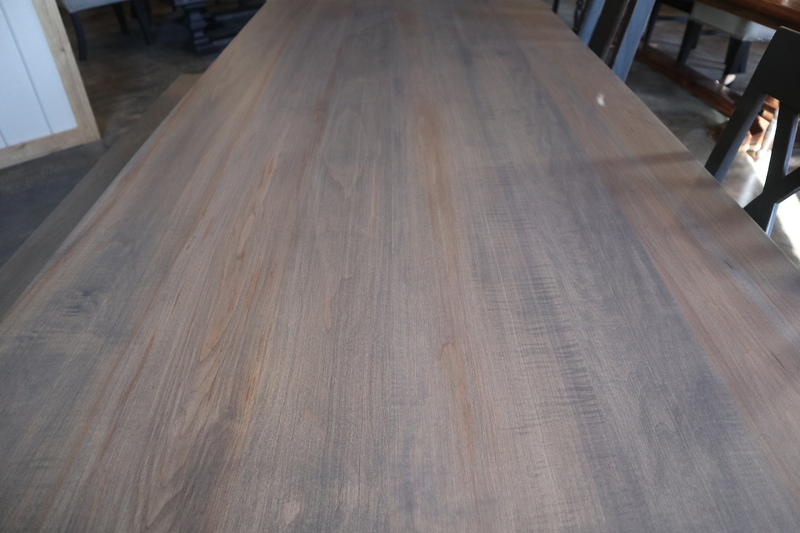 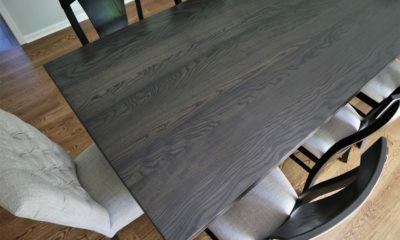 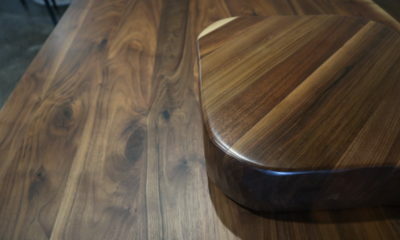 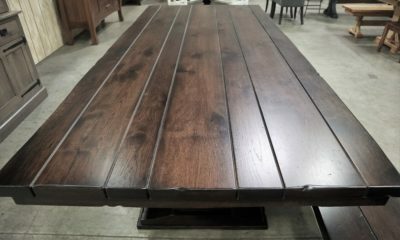 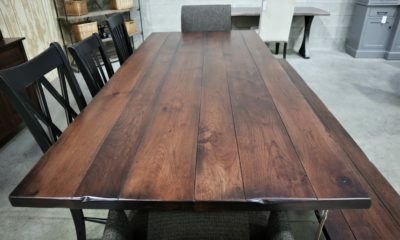 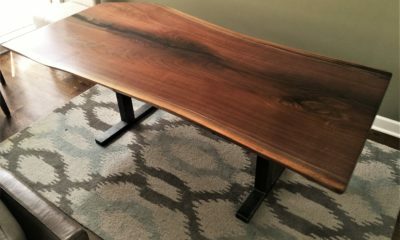 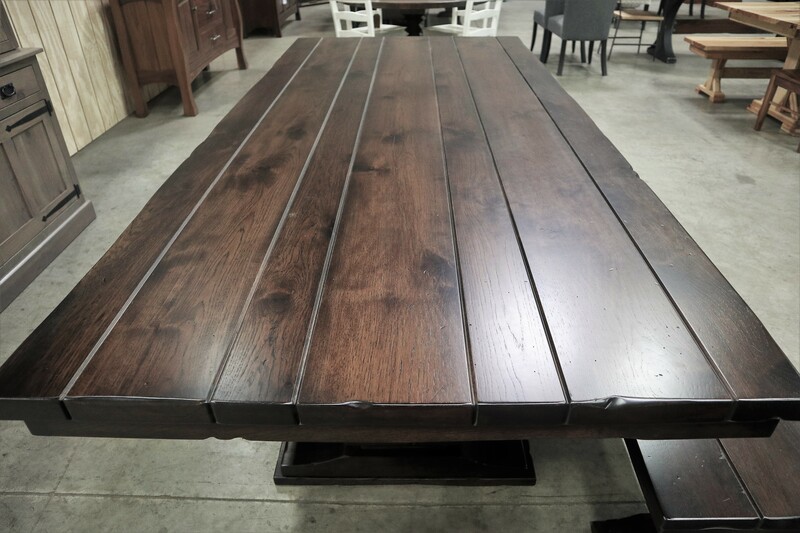 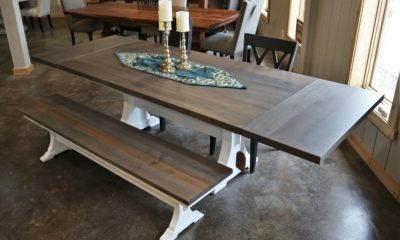 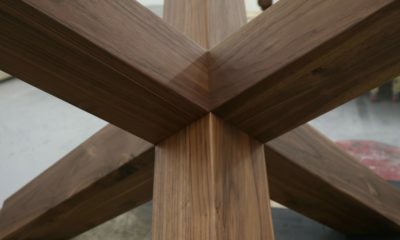 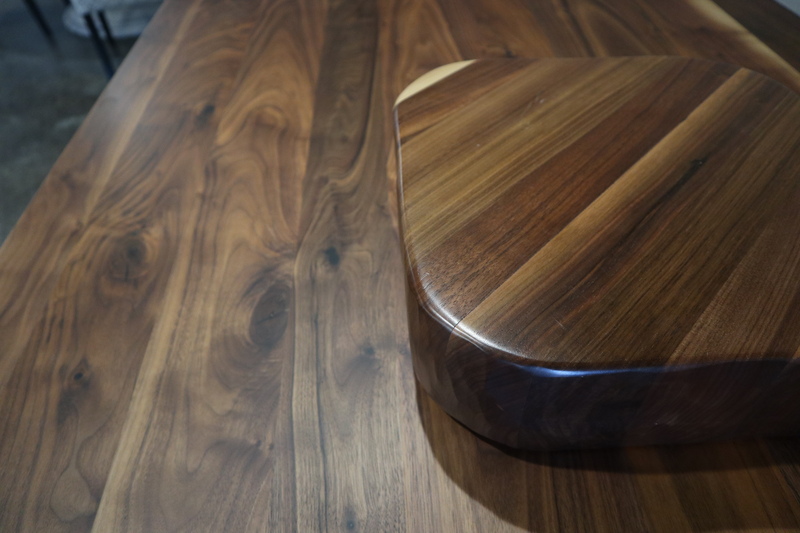 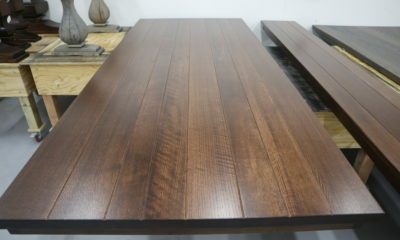 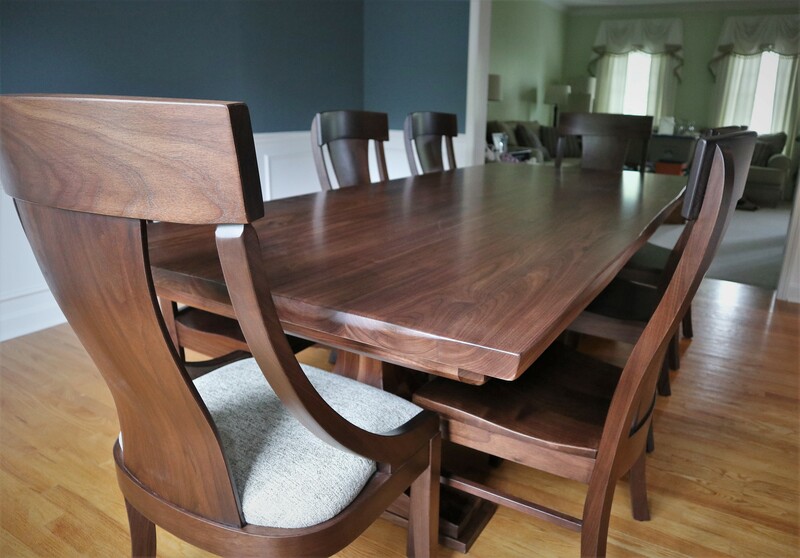 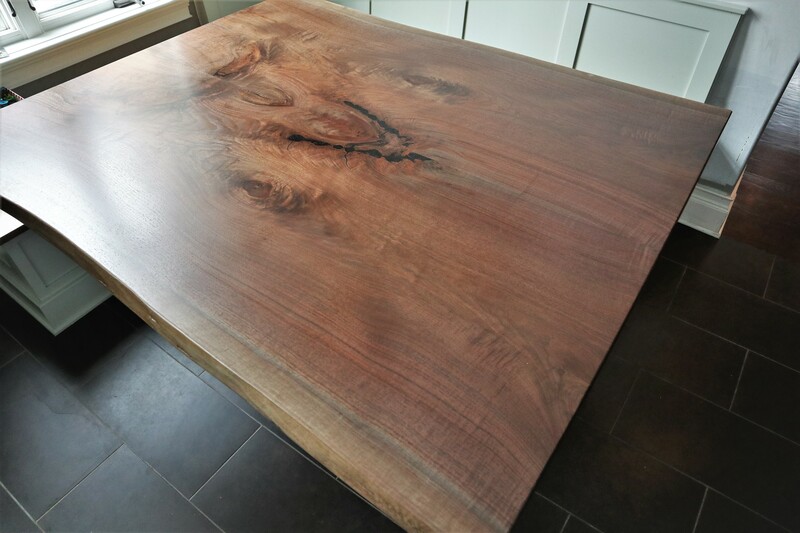 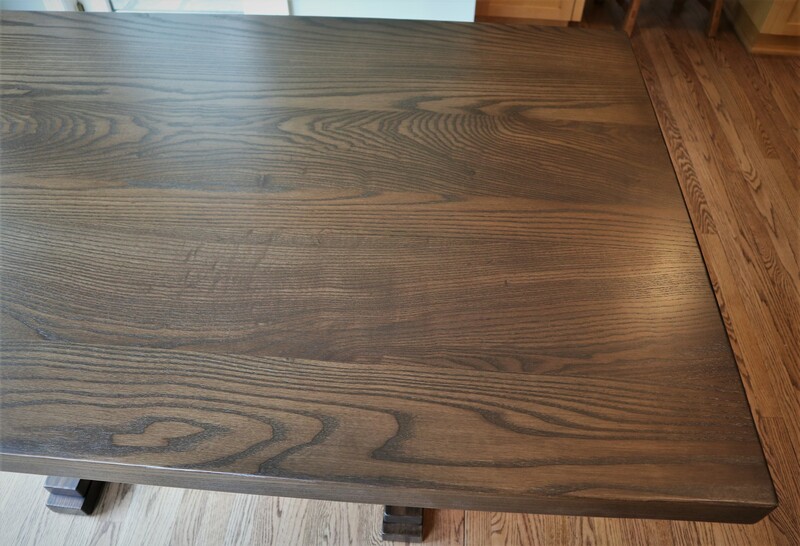 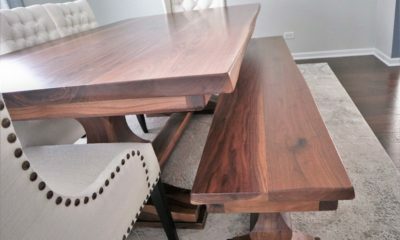 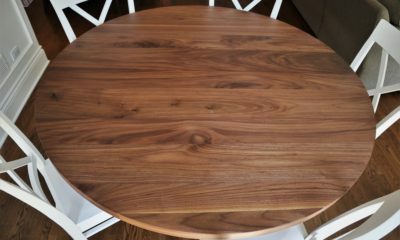 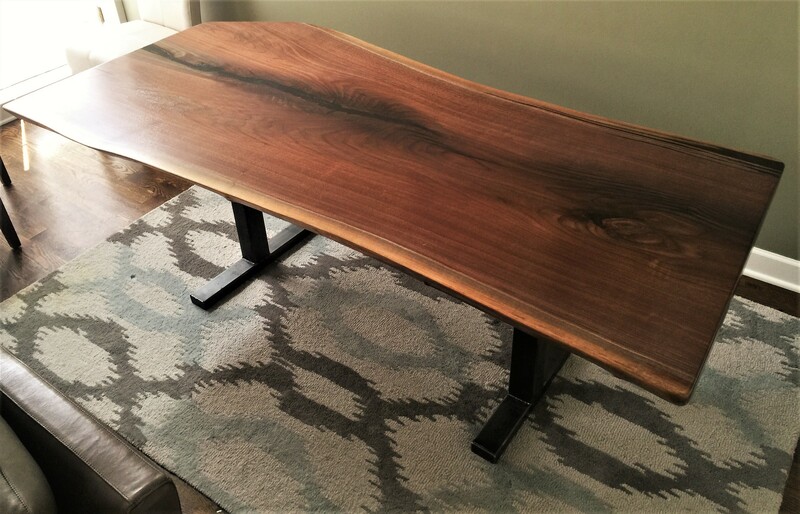 We almost never add color to walnut, but simply coat it with a clear top coat and sealer. 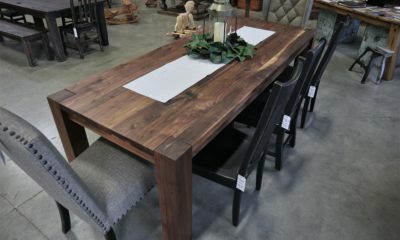 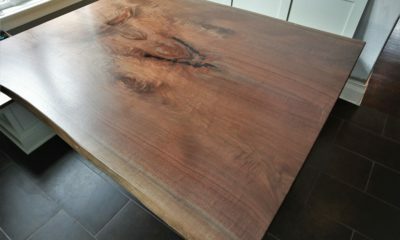 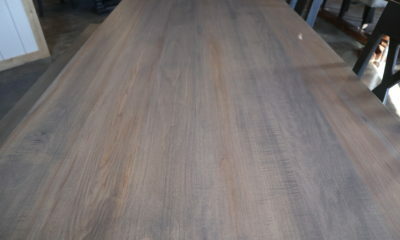 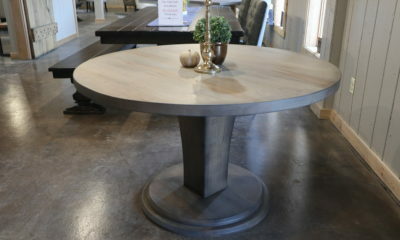 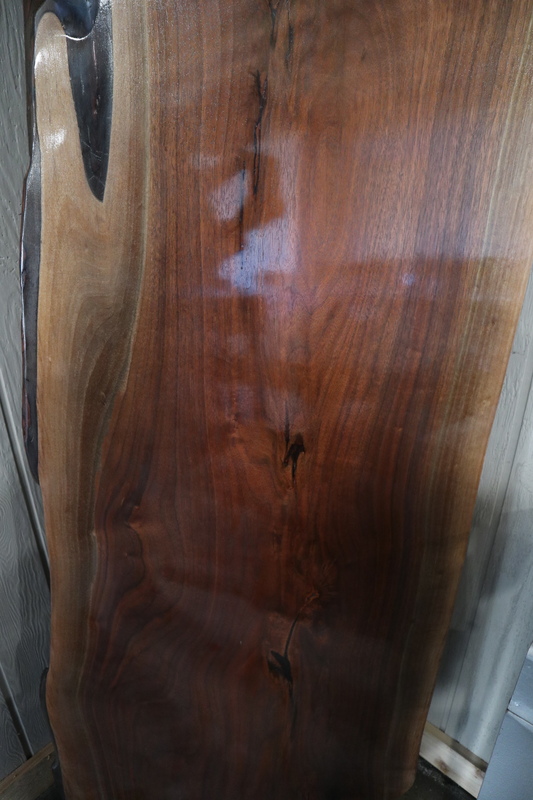 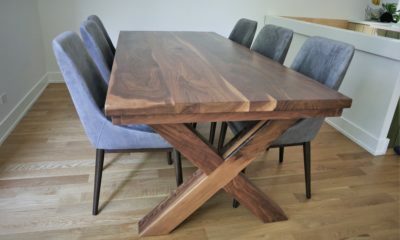 Slabs are a popular look, thus almost all our slab work is in walnut. 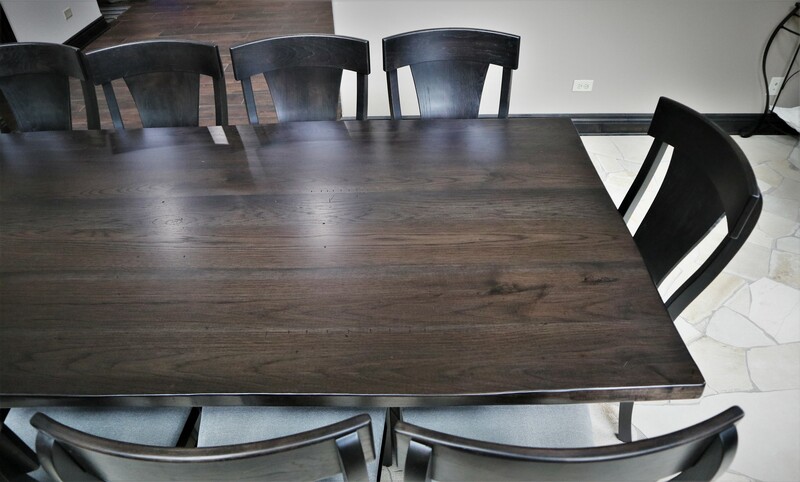 Known for its hardness, tighter grain, and variation in color, hickory works well with brown tones. 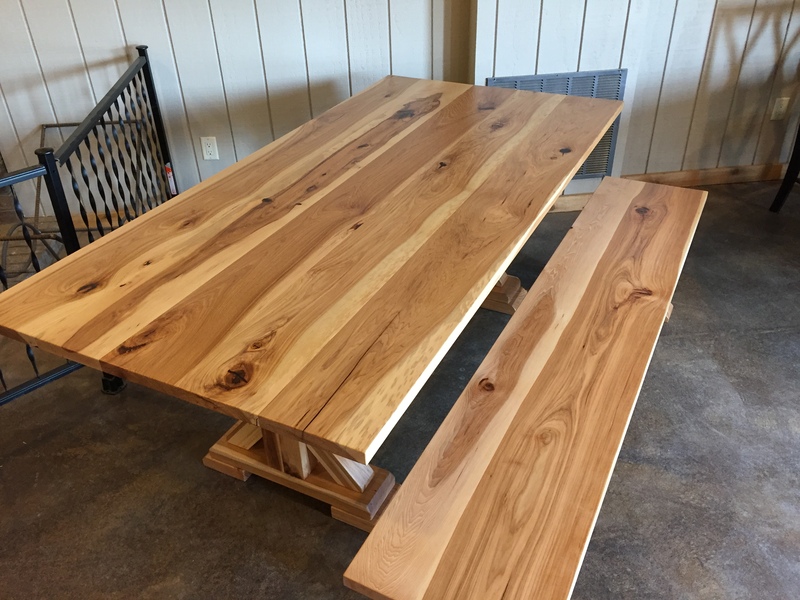 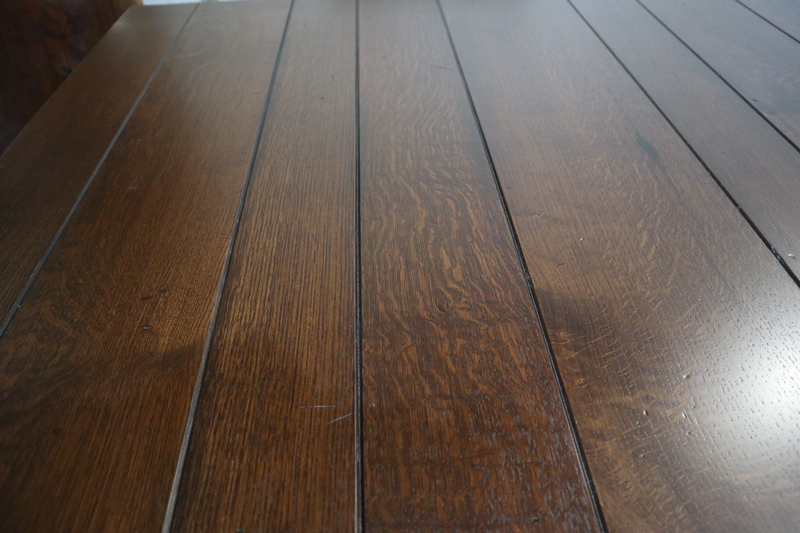 The examples below show the colors standard to hickory, but they are not required. 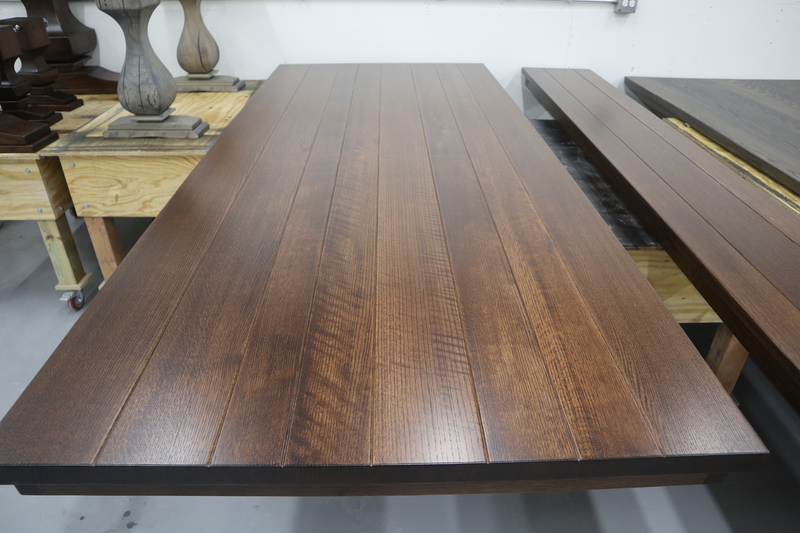 With a more consistent grain pattern, quarter sawn red and white are a fit for a few different styles. 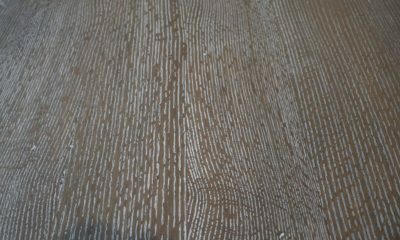 These grains tend to be cleaner and have an almost Morse code pattern. 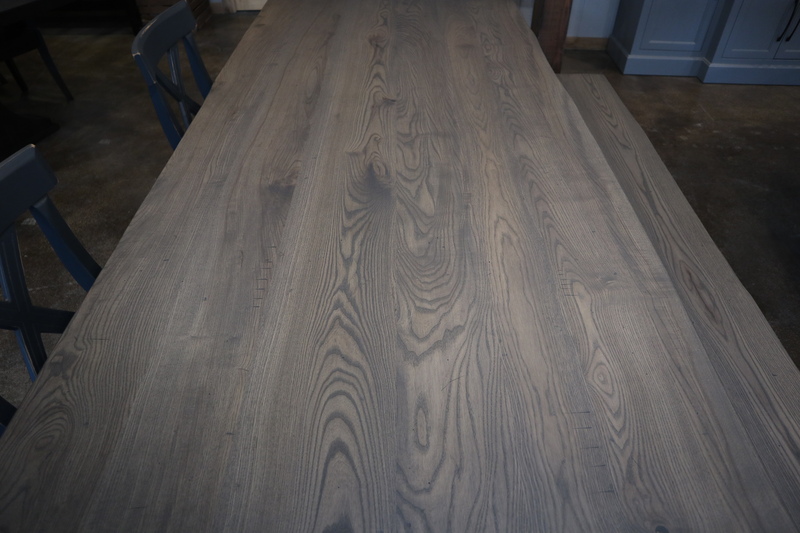 Unlike traditional flat sawn oaks, quarter sawn is known for uniformity and stability. 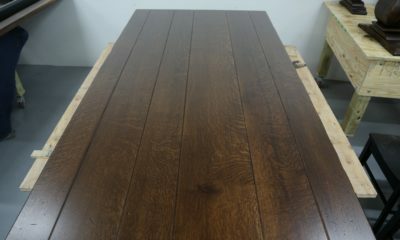 Quarter sawn red oak gives off a red tint while quarter sawn white oak, a golden. 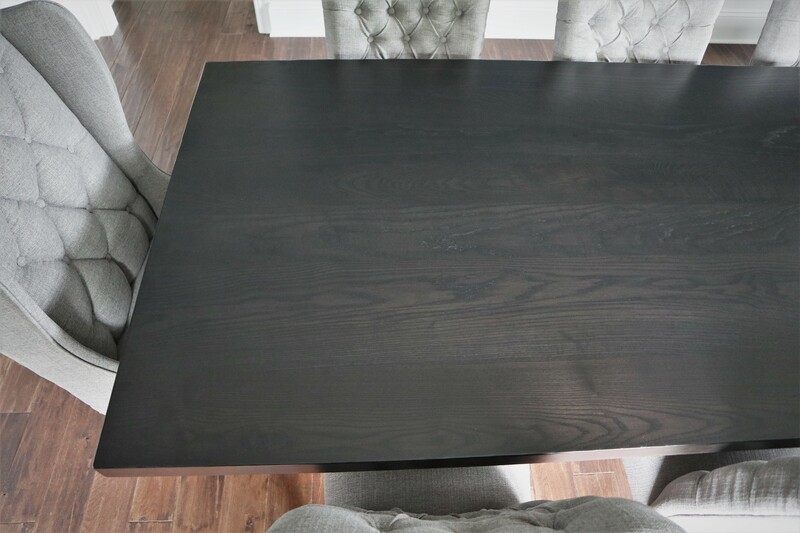 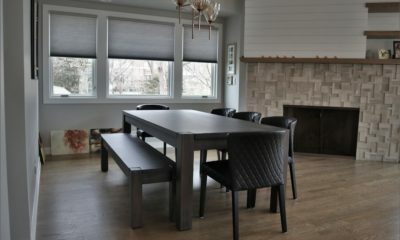 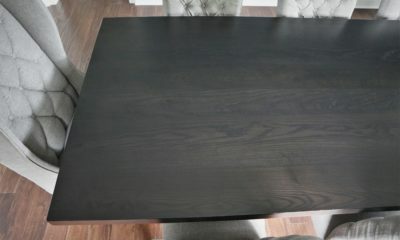 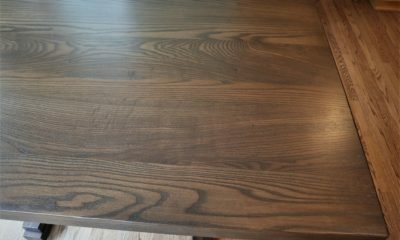 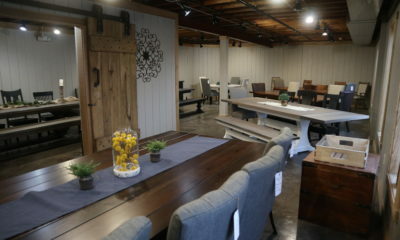 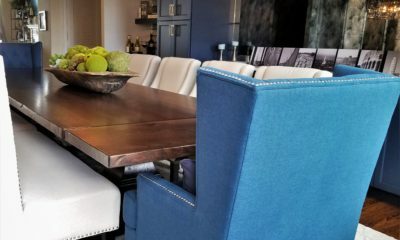 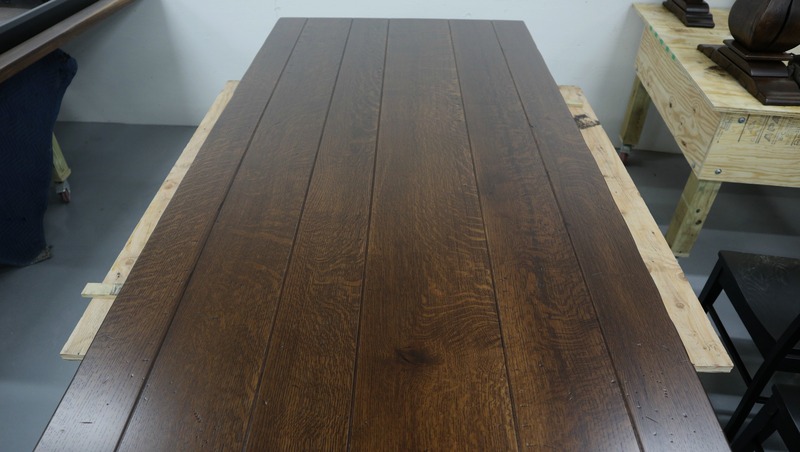 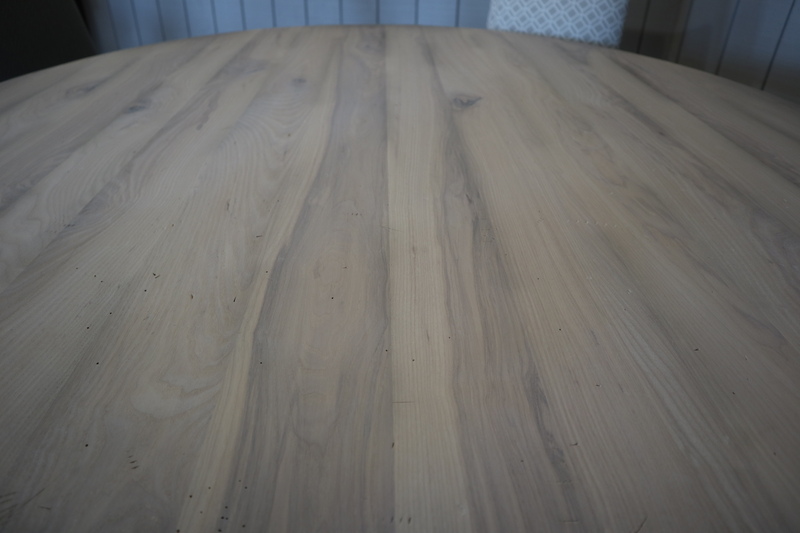 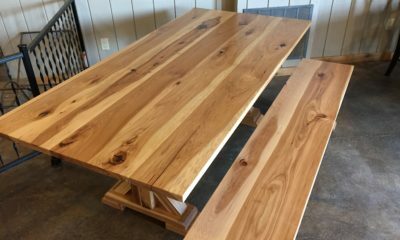 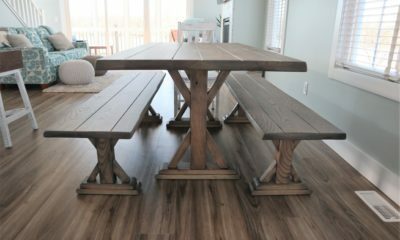 What differentiates the two is quarter sawn white oak has more ray flake (a figuring in the wood grain that can be selected for tables) and is great for outdoor use. 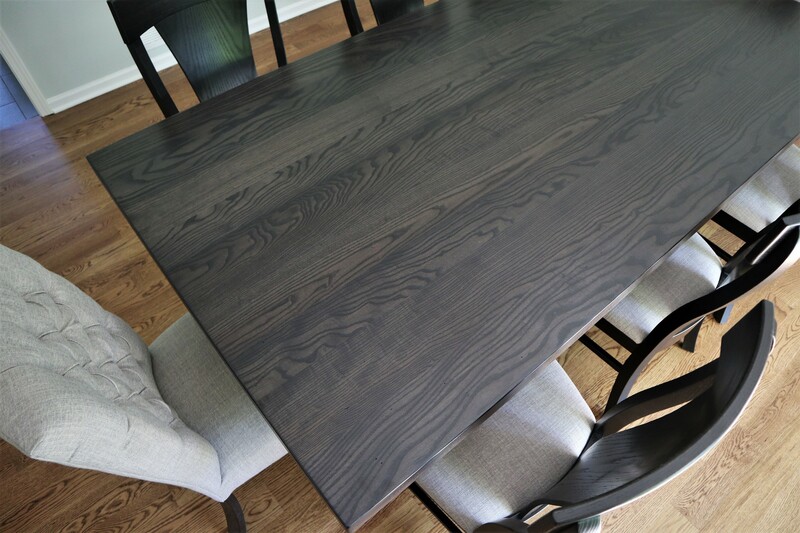 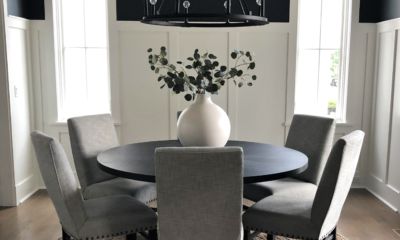 This wood species works best with black, gray, and cool tones. 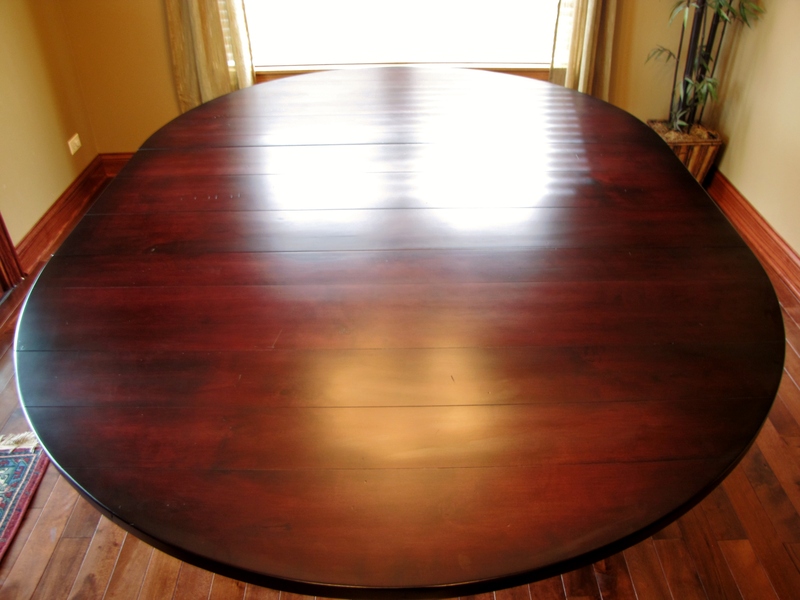 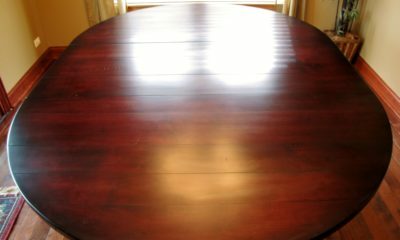 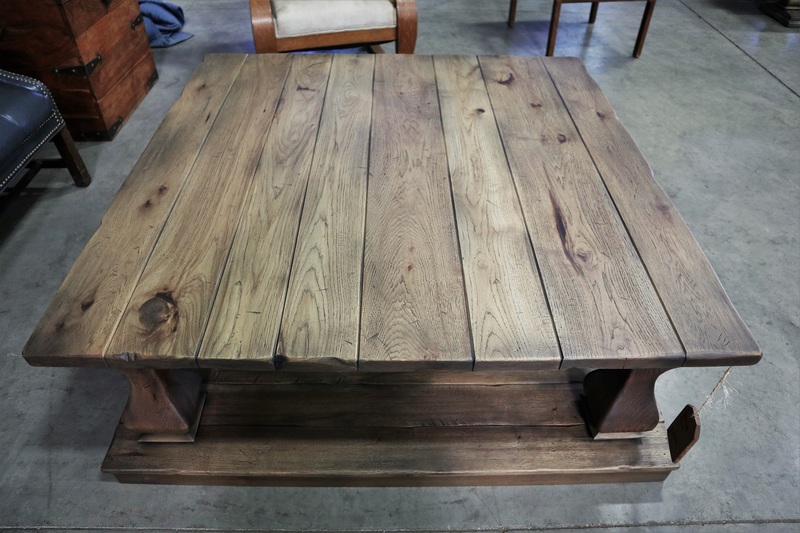 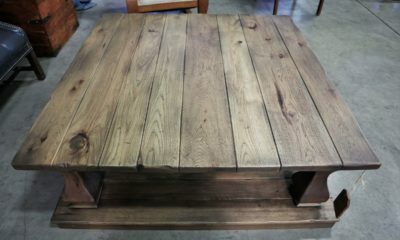 Due to its light and pale natural state, the wood does not influence the stain color as much. 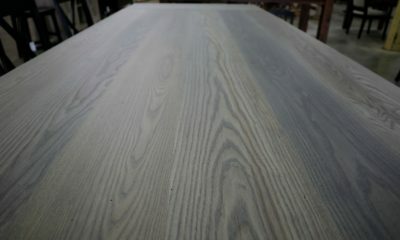 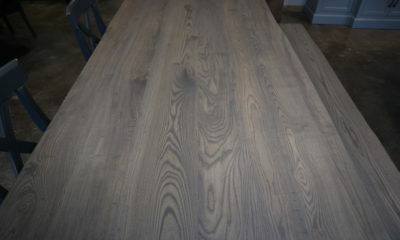 A large, looser grain is yet another characteristic of ash left for buyers choice. 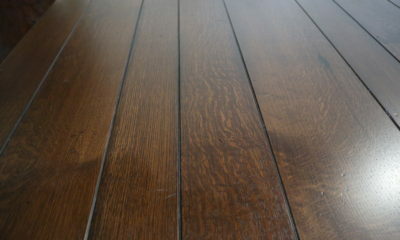 The pictures below show our standard stains. 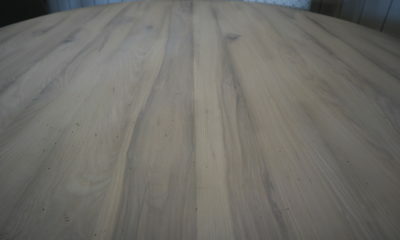 Having almost no grain texture, but good figuring, maple gives a clean, smooth look. 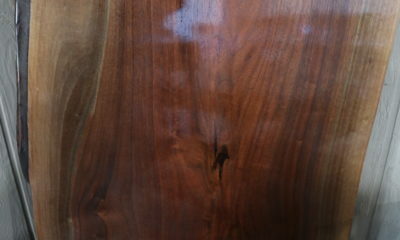 This wood species tends to show blemishes more, however, is just as hard as the others. 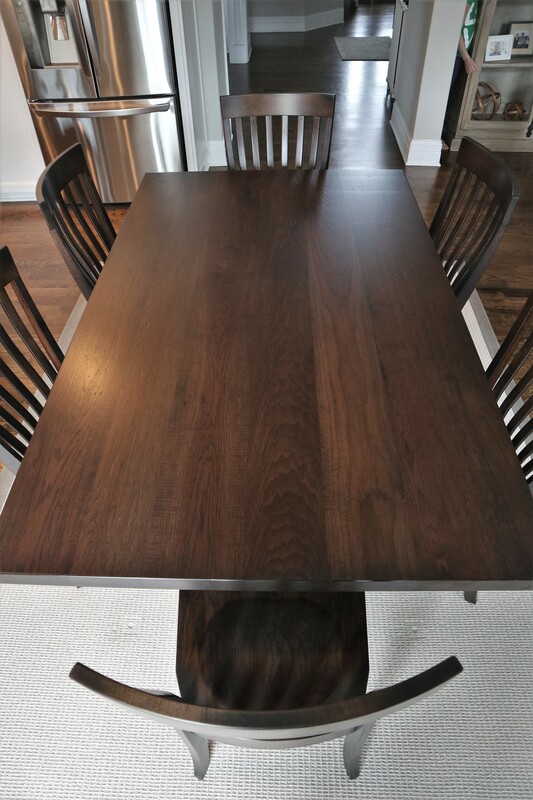 Hard maple works well with pale and brown tones. 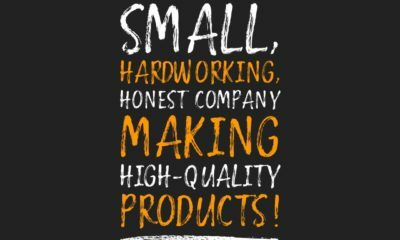 Take a look at our few examples below.